With the semester coming to a close, the High School Winter Concert premiered at the perfect time. 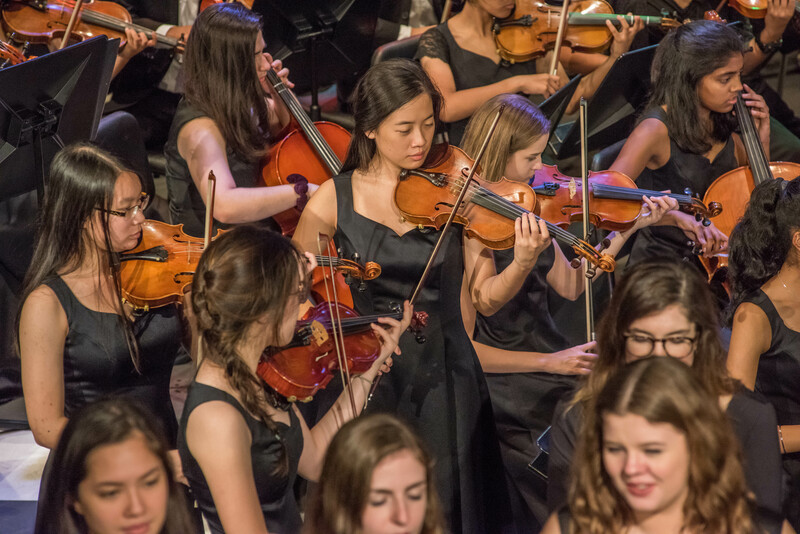 It’s hard for parents or even fellow students to acknowledge the work and progress throughout the semester, but this concert is a display of the effort and passion students put into their music courses. The concert featured band, choir, strings and amassed a large audience which filled the aisles of the theatre. The spectators were amazed and watched stunned at the students’ renditions of these different songs. Some performances were even delivered with a twist. “I like to do things a bit differently. I decided to do a piece with electronic music and glow sticks, and it was kind of cool,” Mr. Miles on the High School Band’s delivery of “Light Outs”. Mr. Cee, who teaches a variety of students involved in strings at the school, expressed his pride in all these young musicians.